RECIPE TO MAKE YOUR OWN RUB! When it comes to BBQ rubs and spices, Pereg Natural foods knows a thing or two. In business for more than 100 years, the New Jersey based, family owned company produces more than 60 all natural and pure spices, procured from the best sources on earth. Here’s some info from Pereg on why and how to use rubs for the perfect BBQ. Rubs are used in every part of the country to enhance the flavor of BBQ. Generally, rubs are a combination of spices which are “rubbed” or sprinkled on the outside surface of meat before you put it on the grill. Most Important – Rubs pull moisture from the air, while drawing juices from the inside of the meat. This reaction is called osmosis. This literally causes the meat to marinade itself as it cooks. Rubs are a combination of different spices mixed with salts and sugars. The salt draws moisture out of the meat, and the sugar locks in the flavor of the spices by caramelizing on the meat’s surface and sealing in all the great spice flavors. The sugar also assists in osmosis. Spices in rubs can include allspice, onion, garlic, cinnamon, chili pepper, paprika, mustard, cumin, sage, or thyme, just to name a few. Pereg Natural Foods is one of the first to offer its Mixed Spice BBQ, a unique blend of spices for the most flavorful grilling, roasting and baking. Combine 1 tablespoon each of Pereg brand cumin, paprika, granulated garlic, granulated onion, chili powder, cayenne pepper, black pepper, and white pepper with 2 tablespoons kosher salt and 1 tablespoon brown sugar. Combine all ingredients in a large bowl and mix well. Or to make it easier – combine ½ cup of Pereg BBQ Spice Mix with 1 tablespoon of brown sugar. Store in an airtight container. A rub can either be wet or dry. Wet rubs have some liquid in them that give them the consistency of a paste. 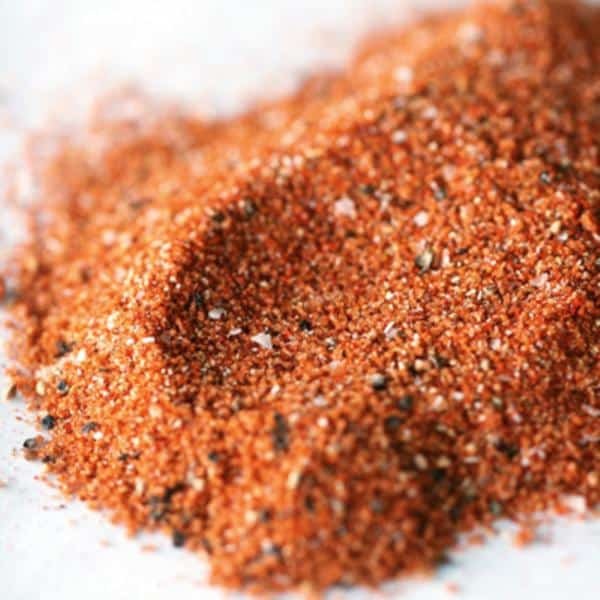 Some rubs (such as Pereg Natural Foods Mixed Spices BBQ) start out as a dry rub, but when heated, become a paste. Why is it called a rub? Some prefer to rub the surface of the meat with the dry rub mix. Others prefer to shake the rub on the meat. Either way, the rub will enhance the natural flavor of the meat, add flavor from the spices, and keep the meat tender on the inside while giving it a perfect char on the outside. You can apply rub a few days before you cook the meat, wrap it up in plastic wrap or butcher paper, and put it in the refrigerator. For larger pieces of meat, this works best. Add a generous portion of the rub at first to the meat. After it sits for a few days, add a little more rub before cooking. In addition to spices, Pereg Natural Foods (www.pereg-gourmet.com) is a leading producer of premium ancient grains, gluten free flours and an extensive line of quinoa and couscous products. They manufacture all their products from start to finish, controlling the quality from the sourcing until the product is packed and ready for the consumer.